Church windows: St. Mel's Cathedral in Longford Execution of Art Glass Window, designed by Kim En Joong completed St. Mel's Cathedral in Longford, Ireland was almost completely destroyed, after a devastating fire in 2009. In despite of the immense damages and the still ongoing restoration, the church was re-opened in Dec 2014. 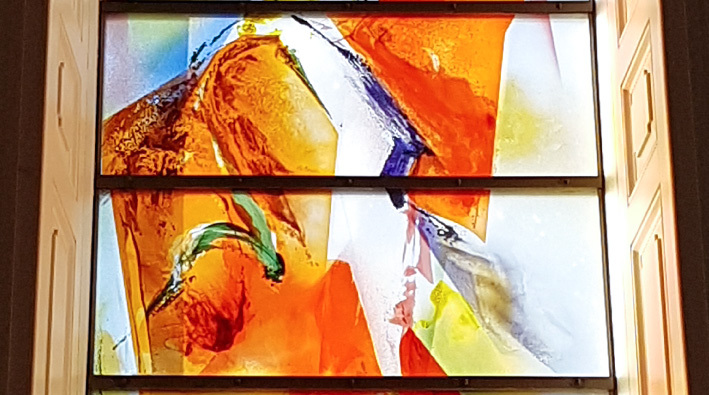 Father Kim En Joong, artist and priest, designed the art glass windows for the new church windows and Derix Glasstudios in Taunusstein translated his design into glass. The work was completed in December 2016.